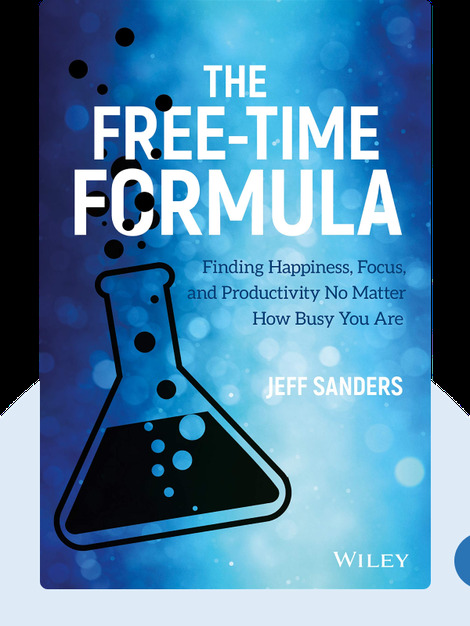 The Free-Time Formula (2018) is a practical guide to better time management, addressing a problem we’ve all grappled with: the feeling that there just aren’t enough hours in the day to do the things we value most. These blinks show that the problem usually isn’t time itself but perception. Once we reframe our concept of time, Jeff Sanders argues, we can start setting realistic priorities and getting the most out of our days. Jeff Sanders is a public speaker and personal coach who lives by the ideals he preaches. An avid early-riser, marathon-runner and committed vegetarian, Sanders is one of today’s most effective self-optimizers. The Free-Time Formula is his second book, following his bestselling debut, The 5 AM Miracle. 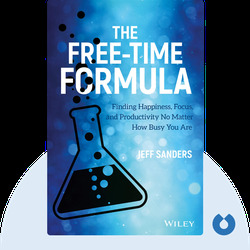 © Jeff Sanders: The Free-Time Formula copyright 2018, John Wiley & Sons Inc. Used by permission of John Wiley & Sons Inc. and shall not be made available to any unauthorized third parties.